Pomegranate is a delicious fruit and it has lots of health benefits. People love this fruit although it is a fuss of a fruit to eat. The appealing colour and taste of the fruit make it favourite among fruit lovers. You can eat it as it is or add it to salads and desserts. You may also have pomegranate juice. Along with its health benefits, pomegranate is also known for some of its side effects. 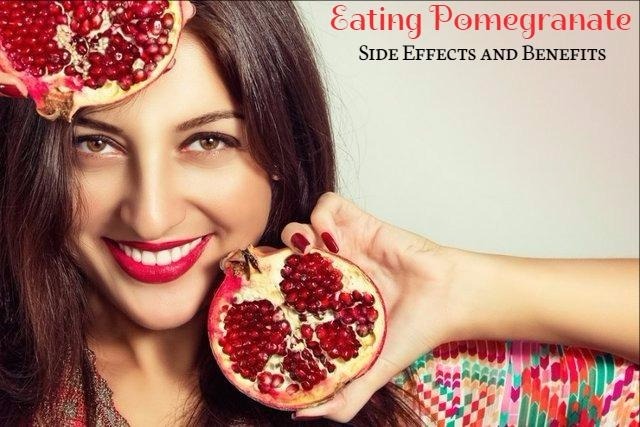 When you consume pomegranate in excess, it can give rise to many disorders. Some of the symptoms you experience as a result of this are nausea, abdominal pain, vomiting and diarrhoea. However these symptoms reduce after a few hours. Excessive intake of this fruit may also irritate the gastrointestinal tract. The enzymes present in pomegranate may interfere with the functioning of some of the enzymes present in the liver. So if you are suffering from any liver disorders and are on some specific medication for it, then you should consult your doctor before you consume pomegranate or its juice. Although pomegranate is effective for fighting diabetes, it is a preventive food. Try to avoid eating pomegranate of you are suffering from diabetes as it is high in sugar. If you are trying to lose weight and are on a weight loss diet, you should avoid consuming pomegranate or its juice. This is because this fruit is high in calories. It can increase the intake of calories and cause weight gain. Pomegranate has the ability to lower the levels of blood pressure in the body. So, if you are under medication for reducing blood pressure, you should avoid consuming pomegranate. If it is taken with other prescription medicines or herbs and supplements that are meant for lowering blood pressure, you may suffer from low blood pressure. Pomegranate is great for boosting your immune system and making your body stronger. This is because it has the power to ward off bacteria and virus. Pomegranate helps in lowering the levels of blood sugar in the body. It also removes toxins from the body. Consuming pomegranate is therefore an affective and useful way to treat diabetes. You can control the level of bad cholesterol in the body by consuming pomegranate regularly. This is because of the presence of antioxidants in high amounts in pomegranate. The juice of pomegranate has the ability to oxidize the low-density lipoprotein, LDL. It helps your heart to work better. Pomegranate has the ability to lower the cholesterol levels in the body. This way it helps in the proper function of the heart. You can also lower the risks of heart failure, plague build-up and stroke by consuming pomegranate regularly. Pomegranate contains certain enzymes that have the power to destroy the cells that cause breast cancer. So, consuming pomegranate regularly is an excellent way to prevent breast cancer. Pomegranate has the ability to slow down the process of deterioration of the cartilage around the bones. You can prevent various diseases related to bones by consuming pomegranate regularly. Pomegranate is rich in Vitamin B, Vitamin C, sugars and carbohydrates, magnesium, potassium and iron. A single serving of pomegranate provides you a lot of nutrients. Pomegranate is useful for treating diarrhoea and dysentery. The astringents property of its peel has the ability to treat diarrhoea, bleeding and dysentery. 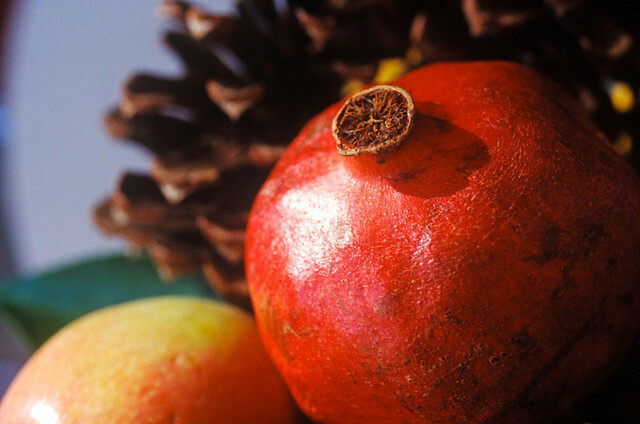 Pomegranate peel is also good for intestinal inflammation as well as piles and haemorrhoids. First you have to soak the peels of pomegranate in water for about 30 to 40 minutes. Now you have to mix all the ingredients and grind them well. You can also add some salt to it for taste. Consume ¼ cup of this mix twice or thrice a day. This will provide you relief from diarrhoea and dysentery. Pomegranate is great for preventing g Alzheimer’s disease. It improves the immune system of the body and helps your body to fight against diseases like Alzheimer’s disease. Pomegranate contains vitamin B, riboflavin, thiamine and niacin, which can slow own the degeneration of brain cells. Is It Safe To Eat Pomegranate During Pregnancy? When one is pregnant, she needs more energy on a daily basis. One of the easy ways to get the energy needed is to consume pomegranate juice regularly. It is delicious and pleasant, and healthy for the body. Pomegranate juice also contains lots of nutrients like calcium, iron, vitamin d, folate, folic acid and protein, all of which are essential for the body during pregnancy. These nutrients also help in the proper development of the baby. Studies made have shown that pomegranate juice has the power to reduce the risk of placenta injury. Presence of antioxidants in high amounts in pomegranate also protects the placenta from free radicals. The phytochemical in pomegranate can help in lowering the blood pressure, while vitamin C in it helps in increasing the immunity of the body.